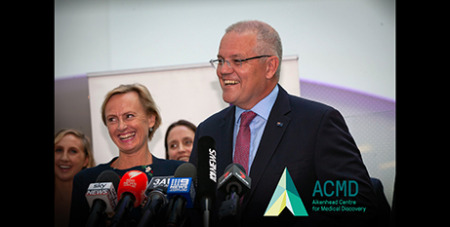 A $30 million cash injection to Melbourne’s ground-breaking bio-medical research centre will keep the city at the global cutting edge of medical technology, according to Prime Minister Scott Morrison. Source: Canberra Times. Aikenhead has already produced ground-breaking medical innovations, including a head implant that talks to an epilepsy patient’s mobile phone, warning them when a seizure is imminent, and the 3D printing of human stem cells which are then injected into joints to prevent the onset of osteoarthritis. Researchers at Aikenhead have also developed another 3D printing technique, which produces replacement human bones and uses surgical robots to fit them to cancer patients or trauma victims. The 11-storey building, planned for the corner of Victoria Parade and Nicholson Street, has the potential to bring the centre’s work to another level, according to Mark Cook of St Vincent’s Hospital.